i heart napa: recycle: corks! please note that only natural cork is accepted. no plastic or metal closures please! Nice post. 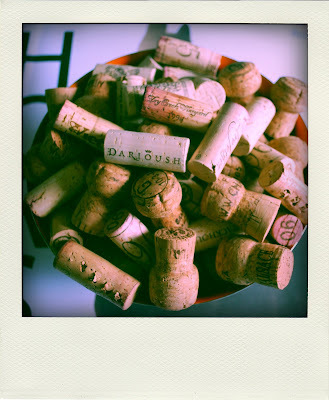 Recycling corks is a great initiative. The company behind ReCork America, Amorim, has also launched an environmental campaign called “Save Miguel” (www.savemiguel.com) which is aimed at saving the cork forests of the Mediterranean. There is quite a bit of support for saving these beautiful habitats as is evident by the Save Miguel group on FaceBook (www.facebook.com/home.php#/group.php?gid=22082195398). It is good to know that something as simple as buying wine sealed with a natural cork stopper can have such a positive effect on the environment. Are these the same corks puppy chewed/ate? Is this a picture of the same corks puppy ate? Love your blog. Great blog! I've been in Napa around 3 years, but am always looking for fun things to do. We have lots of the same interests, so I'll be sure to check back!